This piece of code is probably unreadable to a regular C++ programmer, but makes perfect sense to a Haskell programmer. Here’s the description of the problem: You are given a list of equal-length strings. Every string is different, but two of these strings differ only by one character. Find these two strings and return their matching part. For instance, if the two strings were “abcd” and “abxd”, you would return “abd”. What makes this problem particularly interesting is its potential application to a much more practical task of matching strands of DNA while looking for mutations. I decided to explore the problem a little beyond the brute force approach. And, of course, I had a hunch that I might encounter my favorite wild beast–the hylomorphism. The real work is done by the function findMatch, which takes a list of strings and produces the answer, which is a single string. First, let’s define a function that calculates the distance between any two strings. We’ll define the distance as the count of mismatched characters. For our purposes, we’ll assume that there is exactly one such pair (if there isn’t one, we are willing to let the program fail with a fatal exception). We use our friend uncurry again, because the equality operator (==) expects two arguments, and we are calling it with a pair of arguments. The result of filtering is a list of identical pairs. We’ll fmap fst to pick the first components. This program produces the correct result and we could stop right here. But that wouldn’t be much fun, would it? Besides, it’s possible that other algorithms could perform better, or be more flexible when applied to a more general problem. The main problem with our brute-force approach is that we are comparing everything with everything. As we increase the number of input strings, the number of comparisons grows like a factorial. There is a standard way of cutting down on the number of comparison: organizing the input into a neat data structure. We are comparing strings, which are lists of characters, and list comparison is done recursively. Assume that you know that two strings share a prefix. Compare the next character. If it’s equal in both strings, recurse. If it’s not, we have a single character fault. The rest of the two strings must now match perfectly to be considered a solution. So the best data structure for this kind of algorithm should batch together strings with equal prefixes. Such a data structure is called a prefix tree, or a trie (pronounced try). At every level of our prefix tree we’ll branch based on the current character (so the maximum branching factor is, in our case, 26). We’ll record the character, the count of strings that share the prefix that led us there, and the child trie storing all the suffixes. Here’s an example of a trie that stores just two strings, “abcd” and “abxd”. It branches after b. Of course, there are many optimizations we could use, if we were to run this algorithm on big data. For instance, we could compress the branches as is done in radix trees, or we could sort the branches alphabetically. I won’t do it here. I won’t pretend that this implementation is simple and elegant. And it will get even worse before it gets better. The problem is that we are dealing explicitly with recursion in multiple dimensions. We recurse over the input string, the list of branches at each node, as well as the child trie. That’s a lot of recursion to keep track of–all at once. Now brace yourself: We have to traverse the trie starting from the root. At every branch we check the prefix count: if it’s greater than one, we have more than one string going down, so we recurse into the child trie. But there is also another possibility: we can allow to have a mismatch at the current level. The current characters may be different but, since we allow only one mismatch, the rest of the strings have to match exactly. That’s what the function exact does. Notice that exact t is used inside foldMap, which is a version of fold that works on monoids–here, on strings. Here’s the function that finds all exact matches between two tries. It does it by generating all pairs of branches in which top characters match, and then recursing down. When mAll reaches the leaves of the trie, it returns a singleton list containing an empty string. Subsequent actions of fmap (c:) will prepend characters to this string. Notice how I have replaced the recursive call to the Trie type constructor with the free type variable a. The functor in question defines the structure of a single node, leaving holes marked by the occurrences of a for the recursion. When these holes are filled with full blown tries, as in the definition of the fixed point, we recover the complete trie. I have also made one more simplification by getting rid of the Int in every node. This is because, in the recursion scheme I’m going to use, the folding of the trie proceeds bottom-up, rather than top-down, so the multiplicity information can be passed upwards. It takes a function a -> b that converts each list element to a type that supports comparison (as per the typeclass Ord), and partitions the input into lists that compare equal under this particular ordering. In our case, we are going to extract the first character from a string using head and bunch together all strings that share that first character. The tails of those strings will serve as seeds for the next tier of the trie. Eventually the strings will be shortened to nothing, triggering the end of recursion. The function mkBranch takes a bunch of strings sharing the same first character and creates a branch seeded with the suffixes of those strings. Notice that we have completely avoided explicit recursion. Just as the type x described the seed in a coalgebra, here it describes the accumulator–the result of the folding of a recursive data structure. Notice that the folding proceeds from the bottom up: the algebra assumes that all the children have already been folded. The hardest part of designing an algebra is figuring out what information needs to be passed up in the accumulator. We obviously need to return the final result which, in our case, is the list of strings with one mismatched character. But when we are in the middle of a trie, we have to keep in mind that the mismatch may still happen above us. So we also need a list of strings that may serve as suffixes when the mismatch occurs. We have to keep them all, because they might be matched later with strings from other branches. To understand the implementation of this algebra, consider a single node in a trie. It’s a list of branches, or pairs, whose first component is the current character, and the second a pair of lists of strings–the result of folding a child trie. The first list contains all the suffixes gathered from lower levels of the trie. The second list contains partial results: strings that were matched modulo single-character defect. This way we convert each branch to a pair of lists. We then merge all the lists of suffixes and, separately, all the lists of partial results, across all branches. In the example above, we concatenate the lists in the two columns. And now for the grand finale: Since we create the trie using an anamorphism only to immediately fold it using a catamorphism, why don’t we cut the middle person? Indeed, there is an algorithm called the hylomorphism that does just that. It takes the algebra, the coalgebra, and the seed, and returns the fully charged accumulator. The advantage of using the hylomorphism is that, because of Haskell’s laziness, the trie is never wholly constructed, and therefore doesn’t require large amounts of memory. At every step enough of the data structure is created as is needed for immediate computation; then it is promptly released. In fact, the definition of the data structure is only there to guide the steps of the algorithm. We use a data structure as a control structure. Since data structures are much easier to visualize and debug than control structures, it’s almost always advantageous to use them to drive computation. In fact, you may notice that, in the very last step of the computation, our accumulator recreates the original list of strings (actually, because of laziness, they are never fully reconstructed, but that’s not the point). In reality, the characters in the strings are never copied–the whole algorithm is just a choreographed dance of internal pointers, or iterators. But that’s exactly what happens in the original C++ algorithm. We just use a higher level of abstraction to describe this dance. I haven’t looked at the performance of various implementations. Feel free to test it and report the results. The code is available on github. I’m grateful to the participants of the Seattle Haskell Users’ Group for many helpful comments during my presentation. FunList is a free applicative generated by the Store functor. This can be shown by expressing the free applicative construction using Day convolution. where is a shorthand for the hom-set . The standard (non-indexed) Store comonad is obtained by identifying a with b and it describes the objects of the slice category (morphisms are functions that make the obvious triangles commute). The coend corresponds, in Haskell, to the existential data type we used in the definition of Day. This is exactly the functor that generates FunList. So FunList is indeed the free applicative generated by Store. All transformations in this derivation were natural isomorphisms. The end is equivalent (modulo parametricity) to Haskell forall. Here, the sets of natural transformations between pairs of functors are just hom-functors in the functor category and the end over is a set of higher-order natural transformations between them. In the double Yoneda trick we carefully select the two functors and to be either representable, or somehow related to representables. With our choice of , this is exactly the free applicative generated by Store–in other words, FunList. This proves the equivalence of Bazaar and FunList. Notice that this proof is only valid for -valued functors, although a generalization to the enriched setting is relatively straightforward. In a sense, FunList is able to freely accumulate the effects from traversable, so that they can be interpreted later. I’m grateful to Edward Kmett and Derek Elkins for many discussions and valuable insights. The use of free monads, free applicatives, and cofree comonads lets us separate the construction of (often effectful or context-dependent) computations from their interpretation. In this paper I show how the ad hoc process of writing interpreters for these free constructions can be systematized using the language of higher order algebras (coalgebras) and catamorphisms (anamorphisms). Recursive schemes [meijer] are an example of successful application of concepts from category theory to programming. The idea is that recursive data structures can be defined as initial algebras of functors. This allows a separation of concerns: the functor describes the local shape of the data structure, and the fixed point combinator builds the recursion. Operations over data structures can be likewise separated into shallow, non-recursive computations described by algebras, and generic recursive procedures described by catamorphisms. In this way, data structures often replace control structures in driving computations. 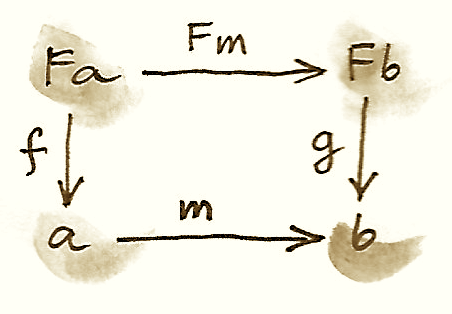 Since functors also form a category, it’s possible to define functors acting on functors. Such higher order functors show up in a number of free constructions, notably free monads, free applicatives, and cofree comonads. These free constructions have good composability properties and they provide means of separating the creation of effectful computations from their interpretation. This paper’s contribution is to systematize the construction of such interpreters. The idea is that free constructions arise as fixed points of higher order functors, and therefore can be approached with the same algebraic machinery as recursive data structures, only at a higher level. In particular, interpreters can be constructed as catamorphisms or anamorphisms of higher order algebras/coalgebras. The list functor is interesting because its fixed point is a free monoid. In category theory, monoids are special objects in monoidal categories—that is categories that define a product of two objects. In Haskell, a pair type plays the role of such a product, with the unit type as its unit (up to isomorphism). Its initial algebra is a free monoid . 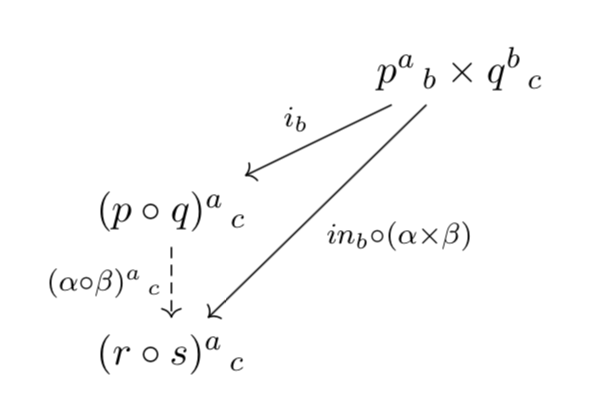 In category theory, once you performed a construction in one category, it’s easy to perform it in another category that shares similar properties. In Haskell, this might require reimplementing the construction. The first function lifts a natural transformation; and the second function, ffmap, witnesses the fact that the result of a higher order functor is again a functor. The question is, are there any interesting examples of higher order functors and algebras that could be used to solve real-life programming problems? We’ve seen the usefulness of lists, or free monoids, for structuring computations. Let’s see if we can generalize this concept to higher order functors. The definition of a list relies on the cartesian structure of the underlying category. It turns out that there are multiple cartesian structures of interest that can be defined in the category of functors. The simplest one defines a product of two endofunctors as their composition. Any two endofunctors can be composed. The unit of functor composition is the identity functor. If you picture endofunctors as containers, you can easily imagine a tree of lists, or a list of Maybes. In Haskell, the components of these natural transformations are known as return and join. Free monads have many applications in programming. They can be used to write generic monadic code, which can then be interpreted in different monads. A very useful property of free monads is that they can be composed using coproducts. This follows from the theorem in category theory, which states that left adjoints preserve coproducts (or, more generally, colimits). Free constructions are, by definition, left adjoints to forgetful functors. This property of free monads was explored by Swierstra [swierstra] in his solution to the expression problem. I will use an example based on his paper to show how to construct monadic interpreters using higher order catamorphisms. A stack-based calculator can be implemented directly using the state monad. Since this is a very simple example, it will be instructive to re-implement it using the free monad approach. You may think of the free monad as a tree with nodes that are defined by the functor StackF. The unary constructors, like Add or Pop, create linear list-like branches; but the Top constructor branches out with one child per integer. The trick is to define a higher order algebra for the functor that generates the free monad and then use a catamorphism to apply it to the program. Notice that implementing the algebra is a relatively simple procedure because we don’t have to deal with recursion. All we need is to case-analyze the shallow constructors for the free monad functor MonadF, and then case-analyze the shallow constructors for the functor StackF. showAlg (DoneM a) = Const "Done!" > "Push 3, Push 4, Add, Top, Pop, Done!" The intuition is that a Day convolution contains a container of some as, and another container of some bs, together with a function that can convert any pair (a, b) to c.
In fact, because Day convolution is symmetric up to isomorphism, it is automatically functorial in both arguments. In our case, since is the singleton set, this functor reduces to the identity functor. alg2 (DoneF a) = Const "." Every construction in category theory has its dual—the result of reversing all the arrows. The dual of a product is a coproduct, the dual of an algebra is a coalgebra, and the dual of a monad is a comonad. and can be used to generate cofree comonoids . A cofree functor is the right adjoint to the forgetful functor. Just like the left adjoint preserved coproducts, the right adjoint preserves products. One can therefore easily combine comonads using products (if the need arises to solve the coexpression problem). and its dual. This would be equivalent to studying folds for lists and unfolds for streams. But the structure of the functor category is richer than that. Just like basic data types can be combined into algebraic data types, so can functors. Moreover, besides the usual sums and products, the functor category admits at least two additional monoidal structures generated by functor composition and Day convolution. Another potentially fruitful area of exploration is the profunctor category, which is also equipped with two monoidal structures, one defined by profunctor composition, and another by Day convolution. A free monoid with respect to profunctor composition is the basis of Haskell Arrow library [jaskelioff]. Profunctors also play an important role in the Haskell lens library [kmett]. Patricia Johann and Neil Ghani, Initial Algebra Semantics is Enough! Abstract: I derive free monoidal profunctors as fixed points of a higher order functor acting on profunctors. Monoidal profunctors play an important role in defining traversals. The beauty of category theory is that it lets us reuse concepts at all levels. In my previous post I have derived a free monoidal functor that goes from a monoidal category to . The current post may then be shortened to: Since profunctors are just functors from to , with the obvious monoidal structure induced by the tensor product in , we automatically get free monoidal profunctors. Let me fill in the details. The idea is that, just like a functor acts on objects, a profunctor p acts on pairs of objects . In other words, it’s a type constructor that takes two types as arguments. 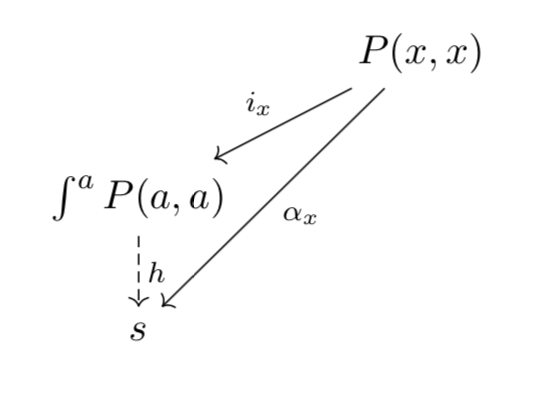 And just like a functor acts on morphisms, a profunctor acts on pairs of morphisms. The only tricky part is that the first morphism of the pair is reversed: instead of going from to , as one would expect, it goes from to . This is why we say that the first argument comes from the opposite category , where all morphisms are reversed with respect to . Thus a morphism from to in is a pair of morphisms . 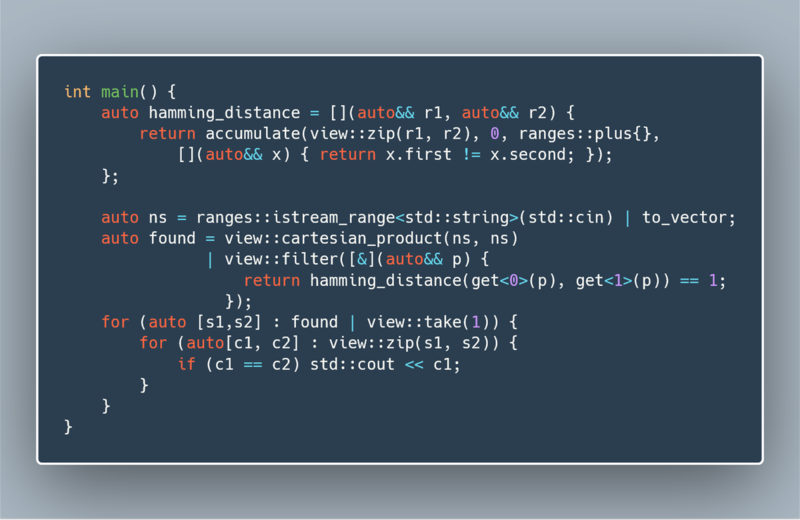 In Haskell, we’ll use cartesian product (pair type) as the underlying tensor product, and () type as the unit. data PDay p q s t = forall a b c d.
The function hpmap lifts a natural transformation, and ddimap shows that the result of the mapping is also a profunctor. We’ll use this fact to construct a free monoidal profunctor next. The only tricky part is realizing that the first term in the sum comes from the unit of Day convolution, which is the type () -> t, and it generalizes to an appropriate pair of functions (we’ll simplify this definition later). As previously shown in the general case, its initial algebra defines a free monoidal profunctor. I’m grateful to Eugenia Cheng not only for talking to me about monoidal profunctors, but also for getting me interested in category theory in the first place through her Catsters video series. Thanks also go to Edward Kmett for numerous discussions on this topic. for any f :: a -> b. Using a suitable formulation of parametricity, this equation can be shown to be a free theorem. Let’s first review the free theorem for functors before generalizing it to profunctors. You may think of a functor as a container that has a shape and contents. You can manipulate the contents without changing the shape using fmap. In general, when applying fmap, you not only change the values stored in the container, you change their type as well. To really capture the shape of the container, you have to consider not only all possible mappings, but also more general relations between different contents. We call this induced relation F a. For instance, consider the relation between students and their grades. Each student may have multiple grades (if they take multiple courses) so this relation is not a function. Given a list of students and a list of grades, we would say that the lists are related if and only if they match at each position. It means that they have to be equal length, and the first grade on the list of grades must belong to the first student on the list of students, and so on. Of course, a list is a very simple container, but this property can be generalized to any functor we can define in Haskell using algebraic data types. For instance, if f is mapping students’ SSNs to last names, and f' is mapping letter grades to numerical grades, the results will be related through the relation between students’ last names and their numerical grades. This characterization can be extended, with suitable changes, to contravariant functors. 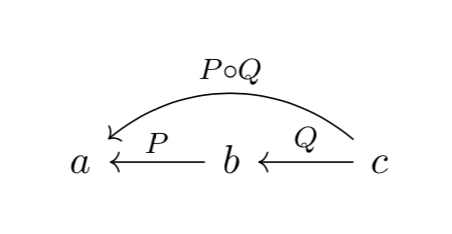 where p f g stands for the lifting of the two functions by the profunctor p.
using the projections we defined earlier. which shows that the wedge condition is indeed a free theorem. It’s been know for some time that, in Haskell, naturality follows from parametricity, so this is not surprising. I’d like to thank Edward Kmett for reviewing the draft of this post. Edsko de Vries, Parametricity Tutorial, Part 1, Part 2, Contravariant Functions. This is part 24 of Categories for Programmers. Previously: Comonads. See the Table of Contents. We’ve seen several formulations of a monoid: as a set, as a single-object category, as an object in a monoidal category. How much more juice can we squeeze out of this simple concept? Any element of this set of functions is a potential monoid. We started with one binary operator (addition), one unary operator (negation), and one nullary operator (identity — here zero). We combined them into one function. All functions with this signature define potential groups. We can go on like this. For instance, to define a ring, we would add one more binary operator and one nullary operator, and so on. Each time we end up with a function type whose left-hand side is a sum of powers (possibly including the zeroth power — the terminal object), and the right-hand side being the set itself. Now we can go crazy with generalizations. First of all, we can replace sets with objects and functions with morphisms. We can define n-ary operators as morphisms from n-ary products. It means that we need a category that supports finite products. For nullary operators we require the existence of the terminal object. So we need a cartesian category. In order to combine these operators we need exponentials, so that’s a cartesian closed category. Finally, we need coproducts to complete our algebraic shenanigans. Alternatively, we can just forget about the way we derived our formulas and concentrate on the final product. The sum of products on the left hand side of our morphism defines an endofunctor. What if we pick an arbitrary endofunctor F instead? In that case we don’t have to impose any constraints on our category. What we obtain is called an F-algebra. The object is often called the carrier, an underlying object or, in the context of programming, the carrier type. The morphism is often called the evaluation function or the structure map. Think of the functor F as forming expressions and the morphism as evaluating them. It identifies the algebra with its evaluation function. This is Haskell for 1 + a × a (remember algebraic data structures). which is Haskell for 1 + 1 + a × a + a × a + a. There are more F-algebras based on the same functor RingF. For instance, polynomials form a ring and so do square matrices. As you can see, the role of the functor is to generate expressions that can be evaluated using the evaluator of the algebra. So far we’ve only seen very simple expressions. We are often interested in more elaborate expressions that can be defined using recursion. This is still not very practical, since we are forced to represent all integers as sums of ones, but it will do in a pinch. Conceptually, after repeating this process infinitely many times, we end up with our Expr. Notice that Expr does not depend on a. The starting point of our journey doesn’t matter, we always end up in the same place. This is not always true for an arbitrary endofunctor in an arbitrary category, but in the category Set things are nice. Of course, this is a hand-waving argument, and I’ll make it more rigorous later. The two functions are the inverse of each other. We’ll use these functions later. Here’s the oldest trick in the book: Whenever you come up with a way of constructing some new objects, see if they form a category. Not surprisingly, algebras over a given endofunctor F form a category. Objects in that category are algebras — pairs consisting of a carrier object a and a morphism F a -> a, both from the original category C.
It’s easy to convince yourself that this is indeed a category (hint: identity morphisms from C work just fine, and a composition of homomorphisms is a homomorphism). But that is just saying that i is a fixed point of F. That’s the formal proof behind the original hand-waving argument. Back to Haskell: We recognize i as our Fix f, j as our constructor Fix, and its inverse as unFix. The isomorphism in Lambek’s theorem tells us that, in order to get the initial algebra, we take the functor f and replace its argument a with Fix f. We also see why the fixed point does not depend on a. A natural number is either zero or a successor of another number. This is known as the Peano representation for natural numbers. Let’s rewrite the initiality condition using Haskell notation. We call the initial algebra Fix f. Its evaluator is the contructor Fix. There is a unique morphism m from the initial algebra to any other algebra over the same functor. Let’s pick an algebra whose carrier is a and the evaluator is alg. By the way, notice what m is: It’s an evaluator for the fixed point, an evaluator for the whole recursive expression tree. Let’s find a general way of implementing it. We can interpret this equation as a recursive definition of m. The recursion is bound to terminate for any finite tree created using the functor f. We can see that by noticing that fmap m operates underneath the top layer of the functor f. In other words, it works on the children of the original tree. The children are always one level shallower than the original tree. Here’s what happens when we apply m to a tree constructed using Fix f. The action of unFix peels off the constructor, exposing the top level of the tree. We then apply m to all the children of the top node. This produces results of type a. Finally, we combine those results by applying the non-recursive evaluator alg. The key point is that our evaluator alg is a simple non-recursive function. You can easily convince yourself that the catamorphism for this algebra, cata fib, calculates Fibonacci numbers. In general, an algebra for NatF defines a recurrence relation: the value of the current element in terms of the previous element. A catamorphism then evaluates the n-th element of that sequence. An algebra for a list functor picks a particular carrier type and defines a function that does pattern matching on the two constructors. Its value for NilF tells us how to evaluate an empty list, and its value for ConsF tells us how to combine the current element with the previously accumulated value. Indeed, the resulting catamorphism cata lenAlg calculates the length of a list. Notice that the evaluator is a combination of (1) a function that takes a list element and an accumulator and returns a new accumulator, and (2) a starting value, here zero. The type of the value and the type of the accumulator are given by the carrier type. The two arguments to foldr are exactly the two components of the algebra. As you can see, foldr is just a convenient specialization of a catamorphism to lists. A terminal coalgebra is usually interpreted in programming as a recipe for generating (possibly infinite) data structures or transition systems. A coalgebra for StreamF e is a function that takes the seed of type a and produces a pair (StreamF is a fancy name for a pair) consisting of an element and the next seed. You can easily generate simple examples of coalgebras that produce infinite sequences, like the list of squares, or reciprocals. Here, the same fixed point is simultaneously an initial algebra and a terminal coalgebra for the same endofunctor. It’s not always like this, in an arbitrary category. In general, an endofunctor may have many (or no) fixed points. The initial algebra is the so called least fixed point, and the terminal coalgebra is the greatest fixed point. In Haskell, though, both are defined by the same formula, and they coincide. The value of Nothing will terminate the generation of the list. Notice that this is not a simple algebraic functor constructed from sums of products. It involves an exponential as. A lens is a coalgebra for this functor with the carrier type a. We’ve seen before that Store s is also a comonad. It turns out that a well-behaved lens corresponds to a coalgebra that is compatible with the comonad structure. We’ll talk about this in the next section. Implement the evaluation function for a ring of polynomials of one variable. You can represent a polynomial as a list of coefficients in front of powers of x. For instance, 4x2-1 would be represented as (starting with the zero’th power) [-1, 0, 4]. Generalize the previous construction to polynomials of many independent variables, like x2y-3y3z. Implement the algebra for the ring of 2×2 matrices. Define a coalgebra whose anamorphism produces a list of squares of natural numbers. Use unfoldr to generate a list of the first n primes.